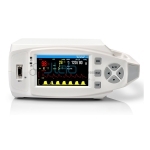 Jlab is renowned Pulse Oximeter Manufacturer, Pulse Oximeter Suppliers, Pulse Oximeter Exporter, Hospital Surgical Equipments, Pulse Oximeter India. 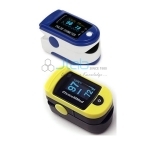 A pulse oximeter is a device created for the non-invasive measure of blood Oxygen saturation and pulse rate. 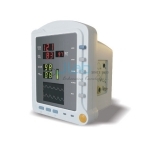 The pulse oximeter, which is used for assess the Oxygen standing of patients in an exceedingly kind of medical settings, has become a gradually more common piece of observation equipment. 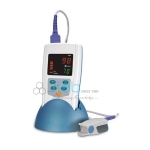 It gives continuous, non-invasive observation of Oxygen saturation of hemoprotein in blood. Its results are economical with every pulse wave. it is thought of to be an easy, general indicator of Oxygen delivery to the peripheral tissues like the Finger, Nose or Ear lobe. Large screen: SpO2,PR are shown on LED screen, Pleth waveform is displayed on 3.5" LCD screen in real time. Light in weight, only 1kg with battery.